The game featured the use of an "opener" for the second game in a row for the Rays. Wilmer Font couldn't hold jobs with the Los Angeles Dodgers or Seattle Mariners earlier this year, but he was able to hold the vaunted Yankees offense to one run through 4 2/3 innings. 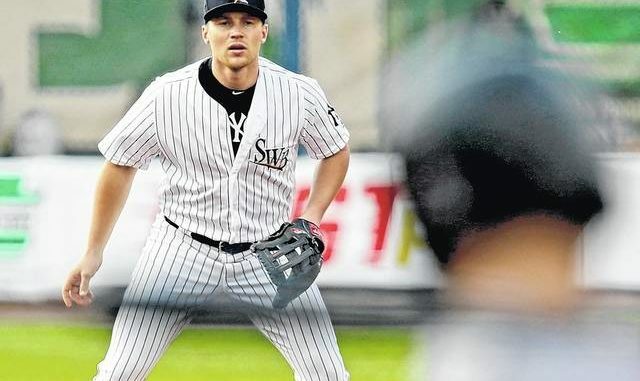 Chaz Roe, who pitched two innings in three appearances for the Yankees in September 2014, was the winner. Sergio Romo, another failed Dodger, picked up the save. 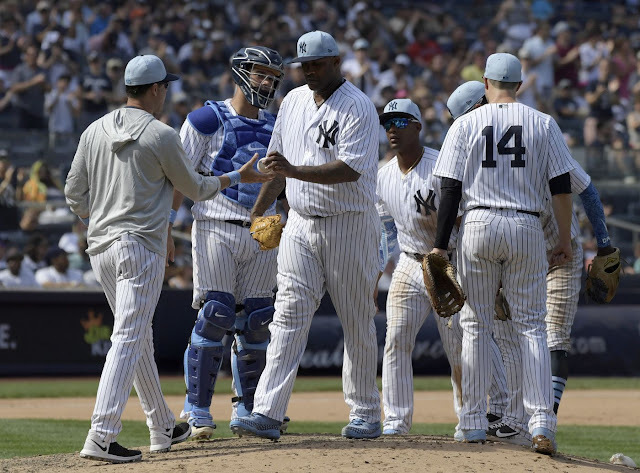 The Yankees offense should have crushed this Rays pitching staff...but didn't. 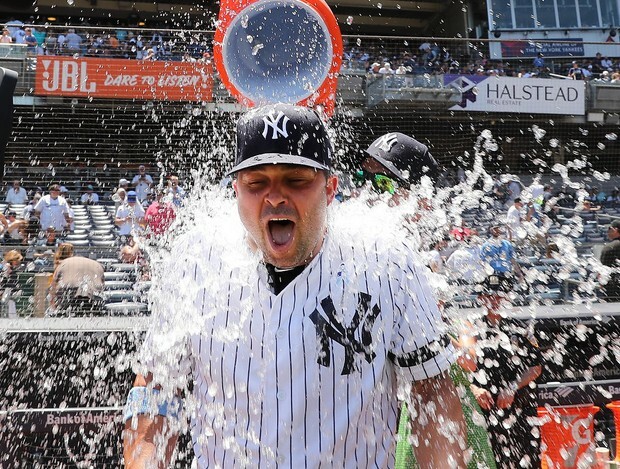 The highlight of the day yesterday was Nick Swisher's home run for the Old Timer's Day game. Honestly, I wish that I could go through life with the same passion as energy as Nick Swisher. His love for life and the Yankees is so strong. Today is an odd day. The Yankees make up the suspended game from May 15th (tied 3-3, top of the sixth inning) and the rain-out from May 16th at Nationals Park in Washington, D.C. The Red Sox are off today so if the Yankees lose both games today, they'll fall behind the Sox. Technically, they can split and maintain the first place tie. Thanks to the weather, the Sox have played six more games than the Yankees so it will be shortened to four games after today. After the game, the Yankees return home to Yankee Stadium to face the Seattle Mariners. The M's, coming off a weekend split with the Red Sox, are the Kings of One-Run Games. They've won 23 one-run games this year and have won as many games as the Yankees entering play today. The Mariners, minus the suspended Robinson Cano, are currently 46-26. They're off today so the Seattle players get the run of New York City while the Yankees play in the Nation's Capitol. As excited as I am about the impending return of Drury, the news that Jacoby Ellsbury will soon resume baseball activities was somewhat of a gut punch. I know, the guy has some baseball talent but is it wrong that I don't want him on my team? 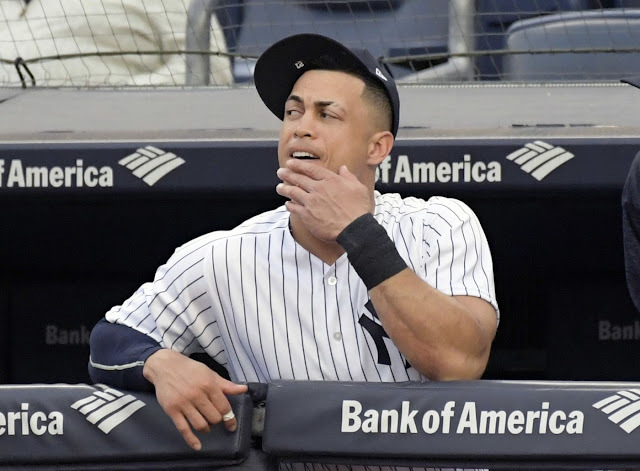 For a team that finds it so difficult to squeeze all their talented Major League-ready players onto a 25-man roster, Ellsbury would take a spot away from a more deserving player. Maybe the guy returns like it is 2011 or maybe he comes back for a temporary stay until his next trip to the disabled list. My money is on the latter. But even if he can still give something, let him do it for someone else. Go back to Boston (even if we pay the freight), I don't really care. I think the funniest line on Twitter yesterday was that Nick Swisher has done more at Yankee Stadium this year than Jacoby Ellsbury has. Today is a new day. One win would be great, two wins even better. Let's Go Yankees!